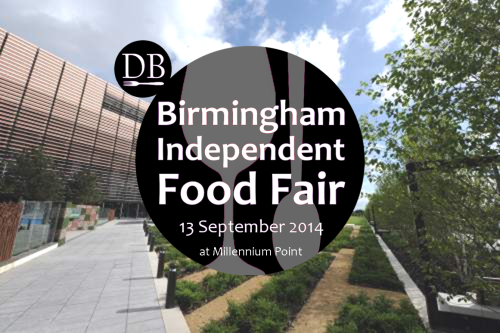 Admission to the fair + 8 free samples of delicious local independent food and drink. Admission to the fair + 12 free samples of delicious local independent food and drink. PLUS Full access to the exclusive VIP Gallery, where you will enjoy bubbly, nibbles, and great views. EACH person on this ticket receives: Admission to the fair + 8 free samples of delicious local independent food and drink. Admits 4. Birmingham has a vibrant independent food scene, ranging from gourmet restaurants, to unique coffee shops, from cocktail bars to street food vendors, from continental delis to artisan confectioners. Dine Birmingham is the city's essential online restaurant, bar and cafe guide. We feature news, reviews and offers in a city fast becoming famous for its food and drink offering.